Find out about how to have a successful career as a Personal Trainer including the requirements, qualifications you'll need, hours, salary and how to get started. The demand for personal trainers is on the rise, so there's never been a better time to start your career in the fitness industry. There are a few different routes you can take and it can all get a little complicated. That's why we've put together a guide on how to become a personal trainer including the skills you'll need, what the hours are, the income you can expect and the opportunities that are out there. The first step to a successful career is getting the qualifications you need. Both our entry-level personal training courses will give you the entry requirements you need to get started - our Diploma in Personal Training or our Advanced Diploma in Personal Training. The diploma course is an ideal start, focusing on developing your gym-based skills. For something a little broader, the advanced diploma will develop your abilities to train individuals and groups and get you ready to start your own business. Motivating and inspiring them to want to achieve the goals you set for them. Identifing how best to help your clients in the way that suits them. Designing tailored exercise programmes for your clients to work towards. If you decide to start your own business, marketing and social media skills can be very helpful and you'll have to stay motivated in order to make the most out of your career. After you've taken an entry-level course, you can decide to continue your study, or with one of the courses above, you can start your career as a Personal Trainer straight away. There are lots of opportunities across the world to work in a gym or if you want to be your own boss, you can go it alone and look for your own clients. Being a Personal Trainer means you can choose your own hours and spend your days doing what you love. Setting fitness goals for your clients. Giving them advice on how to maintain a healthy lifestyle. Designing workouts and maintaining their progress. Helping your clients work on their health and wellbeing. Marketing, sales and social media. As a Personal Trainer, your hours will need to fit around your clients' lifestyles. Unlike the normal 9 to 5, you'll get to set your own hours but you may have to be a little flexible and work some evenings and weekends. You'll usually start on somewhere between £14k and £16k growing to around £17k with more experience. If you're self employed the average earnings are between £20 and £40 per hour but for certain locations and more high-profile clients you could earn up to £100 an hour. Remember, your salary will depend on your level and whether you work for a gym or you're self-employed. It will also depend on where you're working and the number of clients you have. There are many opportunities out there once you're a qualified personal trainer and as the UK's most established provider of fitness training courses, we've earned a reputation for excellence amongst employers in the sector. We have also developed recruitment partnerships to help get your fitness career off to the best possible start. 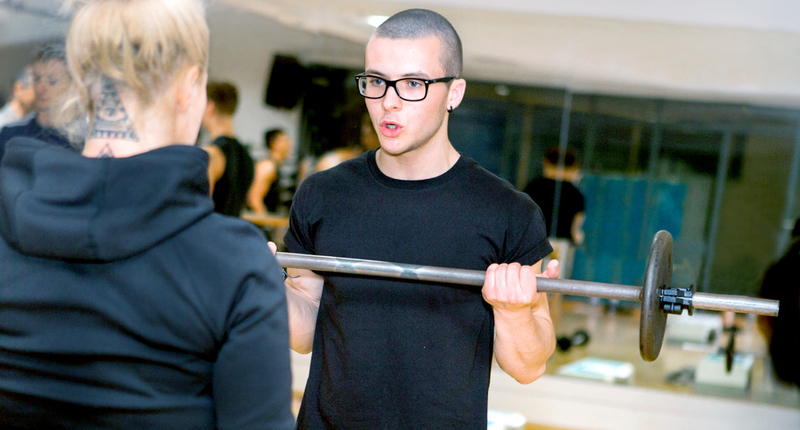 Come along to one of our open evenings to find out more about becoming a Personal Trainer.